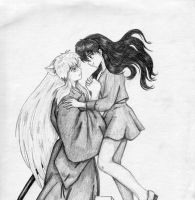 My artwork for FA's Best InuYasha/Kagome Romance Fiction. Nothing like a bit of squish, am I right? 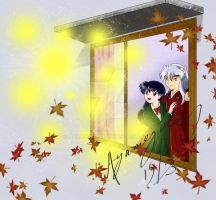 Inuyasha and Kagome belong to Takahashi Rumiko. so pertty & cute keep up with the awesome and outstanding artwork. OMG SO CUTE! And I love the title. 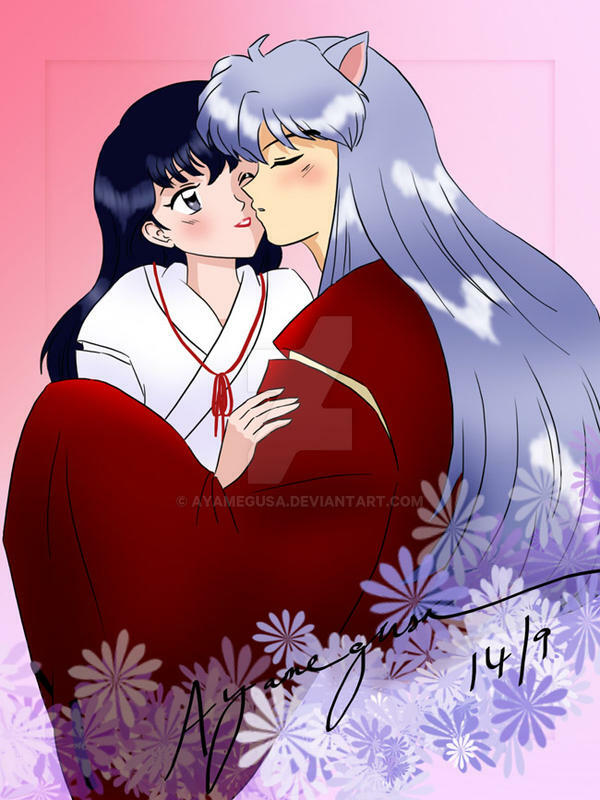 Inuyasha apparently has a wet nose, so kissing him would be like kissing a puppy. Woah man! This drawing is INCREDIBLE!! It looks so good it looks like something Rumiko would draw herself! OMG this is positively adorable!! I'm totally faving it! Can never have enough WAFF! Ah, Lawd no! Never enough WAFF! *gasp* BIG fan of the squish! I love it! It is very adorable and cute. A great picture. I like the expression on Inuyasha's face. I love it! Just love it! So sweet and cute and so very adorable with their blushing!